Monday evenings meeting began with a Public Hearing, meeting scheduled with advertising requirements set by State Statute or Town Code, at 5 pm to discuss amendments to the existing Nuisance Noise and Mooring Ordinances. The Nuisance Noise Ordinance amendments will include an addition to Article 22.4 Exemptions, to allow for businesses holding a valid liquor license issued by the State of Maine to have musical entertainment during normal business hours and removal of language under Article 22.8 Violations and Penalties that was deemed unnecessary by the Town attorney. The Mooring Ordinance amendments will include stricken language under Article 12.3 Mooring Control “anchor or otherwise affix or secure” based on the opinion of the Town Attorney that the Town has no authority over temporary anchorage and additional language changes will be made to Article 12.5 Right of Access. 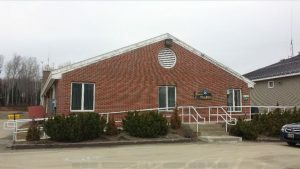 A copy of the ordinances with proposed amendments may be obtained at the Town Office. The regularly scheduled meeting was called to order at 6 pm after a brief break. Town Manager John Madigan brought up concerns over attorney performance. There were several projected timelines that were not met during the ordinance amendment and review process, with no follow-up communication offering an explanation or new dates. The Board agreed to approach another attorney to finalize other amendments and review draft new ordinance(s) so that we may be prepared to take more to the annual Town Meeting. When asked if there was any contractual obligation to the current attorneys, the Board and Town Manager stated not to their knowledge, we just pay them an hourly rate of $235. The current attorneys have been working with the Town for 13 plus years, if performance is an issue, perhaps it is time for the Town to seek requests for proposals for attorney services and move forward with a new firm. The Board unanimously authorized several consent items, approving three (3) accounts payable disbursement warrants numbered twenty (20), twenty-one (21) and twenty-three (23) in the cumulative amount of $649,826.90. They approved an event permit application submitted by Boss Power Equipment for the Rave X Show scheduled for January 26, 2019, and authorized an expense to Wright-Pierce for professional services rendered related to the Downtown Revitalization Plan in the amount of $3,898.02 from the downtown reserve account. The Maine DECD (Department of Economic and Community Development) has received and accepted the Town’s downtown revitalization action plan. Should the Town decide to submit an application for CDBG (Community Development Block Grant) downtown revitalization grant funds they will be able to refer back to this plan for details that link to proposed activities. There was a lengthy debate over the agent agreement between Shane McDougal and the Town, the agreement authorizes Shane to negotiate fill price with project contractors. Proponents see it as a means to put some money back in the Town coffers and appeared to be resentful of any questions to the subject matter. Opponents argue that it’s money we would have naturally seen back, as it seems logical to them that contractors would prefer to purchase fill from a location so close to other projects, therefore from us (Town) and that paying someone to negotiate it is an unnecessary step in the process. The agreement for a single year, with a renewal option after review, was ultimately approved by a three (for) two (against) vote. The raise the floor campaign was tabled until School Board review at their February meeting, after which it will be brought back up on the Board of Selectmen agenda for discussion. Department Heads submitted their updates, the Code Enforcement Officer has conducted six building inspections, issued one sign permit, one alteration permit and started the Conditional Use Permit for Rangeley Power Sports, sighting ordinance work, dangerous buildings, and organization as primary focuses throughout the month of January. The police and fire chiefs provide call records for the time frame since the last meeting, there was no department update from public works included in the press pack. The Boards calendar for the month of January includes notification of an Ordinance Committee Public Workshop on Marijuana Business and Facilities Ordinance scheduled for January 16, 2019 at 5 pm at the Town Office, a public informational workshop regarding the parallel taxiway and marijuana ordinance scheduled for Monday, January 28, 2019 at 5 pm, prior to the Board of Selectmen meeting at 6 pm and a Board of Selectmen/Budget Committee joint meeting to review the budget on January 29, 2019 at 4 pm.